A few years back Pizzeria Mozza started an unwanted trend amongst quality LA pizza joints: smaller is better. Mother Dough and Milo + Olive, amongst others, followed suit. Almost all of the city's enticing new pizza spots were opening in teeny spaces. 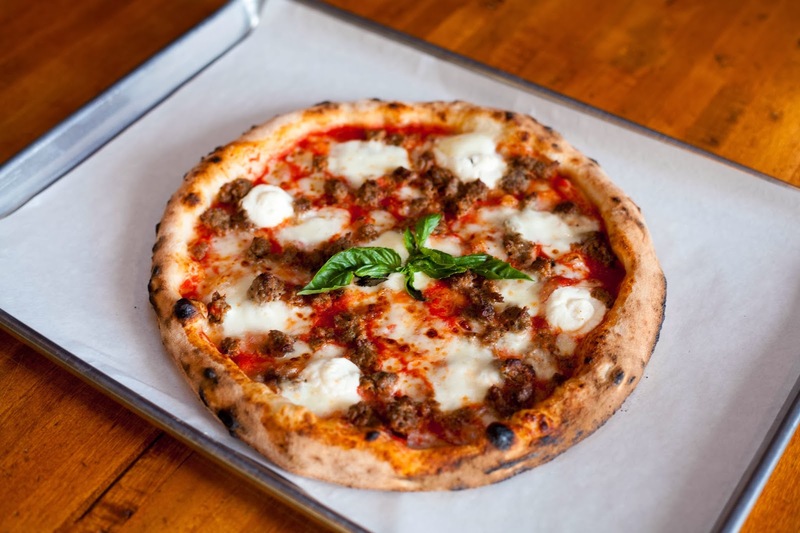 Then 800 Degrees bucked the trend with their Westwood and Santa Monica locations and it appears the new DeSano Pizza Bakery, open today, wants to do the same in East Hollywood. The Nashville import (now that's something you didn't expect to hear about a promising pie shop, huh? 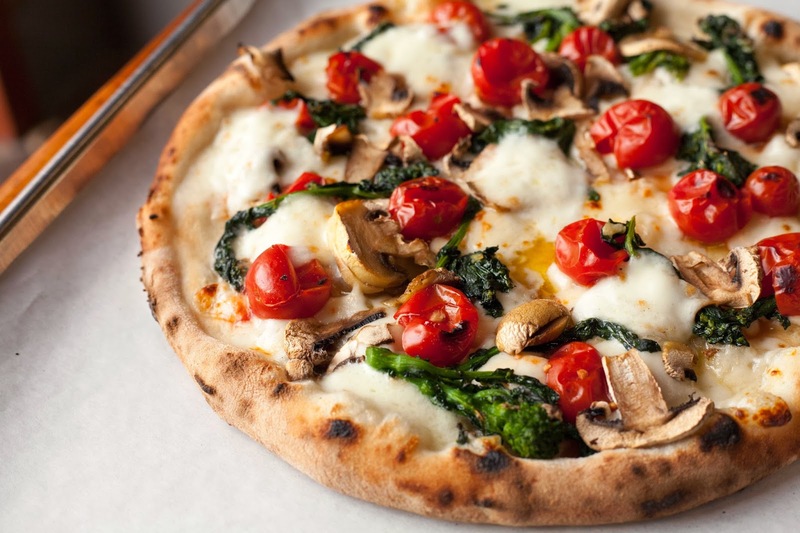 ), serving "Pizza Tradizionale Di Napoli" ("traditional Napoli pies," duh), has taken root on Santa Monica Blvd near Vermont Ave with a whopping 7,000 square feet that comfortably seats 120. The Neapolitan pizza bakery also boasts FOUR 10,000 pound/900 degree wood-burning ovens - which means, despite the massive space, guests won't be waiting too long for their 'za. Open for lunch and dinner, DeSano offers individual and sharing- sized pizzas (like the San Gennaro - sausage, peppadew, garlic, carmelized onions and buffalo mozz), calzones, panuozzo sandwiches (similar to 800 Degrees), antipasta and salads.